A Young Expectant Mother Gently Touching Her Pregnancy Belly. A Portrait Of A Smiling Pregnant Woman Enjoying Being In The Nature On A Summer Evening. Фотография, картинки, изображения и сток-фотография без роялти. Image 100373409. Фото со стока - A young expectant mother gently touching her pregnancy belly. A portrait of a smiling pregnant woman enjoying being in the nature on a summer evening. A young expectant mother gently touching her pregnancy belly. 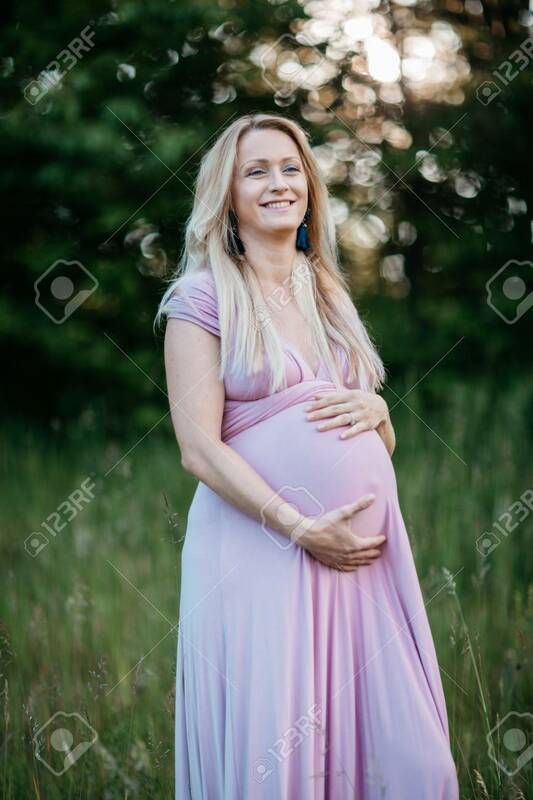 A portrait of a smiling pregnant woman enjoying being in the nature on a summer evening.